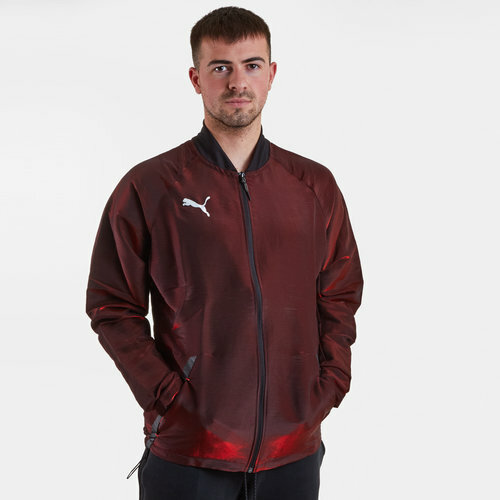 For a light layer that can be worn before the action heats up pull on this Puma FtbINXT Pro Football Jacket in Black and Red Blast. This Puma NTX Pro Jacket is crafted with full zip fastening and long sleeves. It is a lightweight construction with 2 hand pockets for possession storage. This jacket is a block colour design with a printed logo and is complete with Puma branding.